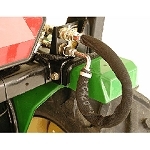 Field install this kit to allow the hydraulic lines for the independent lift of the mid-mount mower and the curl circuit of the loader to remain connected at all times. Simply change the push/pull plunger knob on this valve from the operator station to switch functions and keep working. 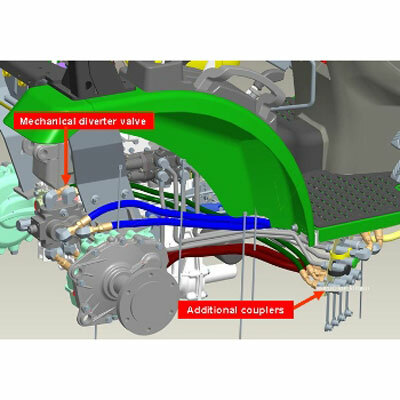 No more changing hoses or getting hydraulic fluid on your hands when switching between mowing and loader work. This kit will not impact compatibility with backhoes, tire chains, or the 3-point hitch which means it can remain on the tractor with in all these applications. NOTE: This kit is only needed if a customer has independent lift for the mid-mount mower and a loader installed to be used at the same time. Also, note that this kit is for the 2520 and 2720 only. 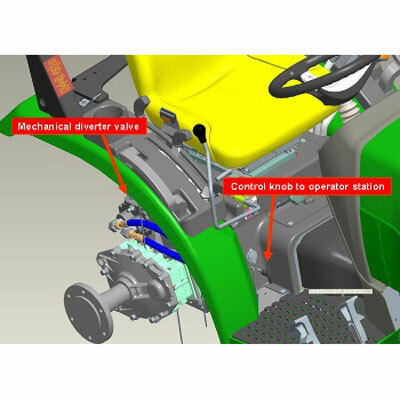 NOTE: This kit has only been approved for use on the 2520 and 2720 Tractors. Use outside of this tractor will not be supported by the factory.